We worked alongside Corstorphine + Wright Architects to deliver a fabulous curved fabric wall system at the Wallsend Customer First Centre. In addition to customer service advice suites, this new state-of-the-art library features the latest in furniture and design with 26 computers for the community and two specifically designated for children. 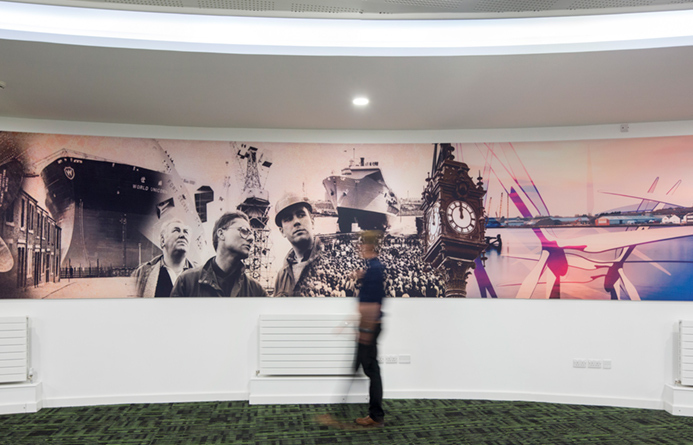 Following a full site survey by our professional installation team, the 10.3 metre long, single-piece fabric graphic was fitted with a special profile to create an impressive feature wall. 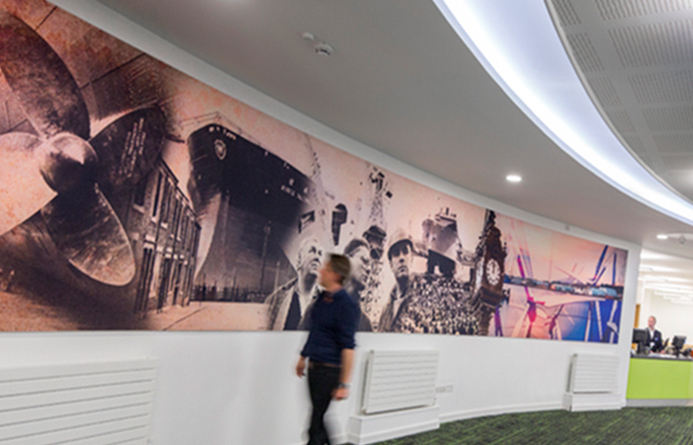 It took two of our MX operatives a full day to deliver the curved wall graphic, that was extremely well received by both the end-client and the architects themselves. Want to know more about our fabric systems? we have a variety of options available from full wall coverings to Fabri Frames. You can read all about Fabric Graphics here.